The Newburgh Free Academy Goldback's defeated the Middletown Middies 62-59 in their Orange County Interscholastic Athletic Association Division I game on Wednesday, December 18, 2013 at NFA in Newburgh, NY. 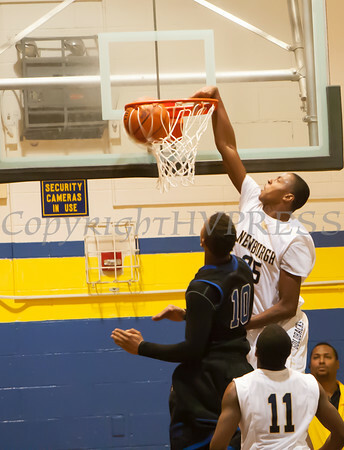 Newburgh Free Academy Goldback Forward Ja'kwan Jones (25) scored 18 points, including this dunk, against the Middletown Middies in their 62-59 victory on Wednesday, December 18, 2013 at NFA in Newburgh, NY. Hudson Valley Press/CHUCK STEWART, JR.